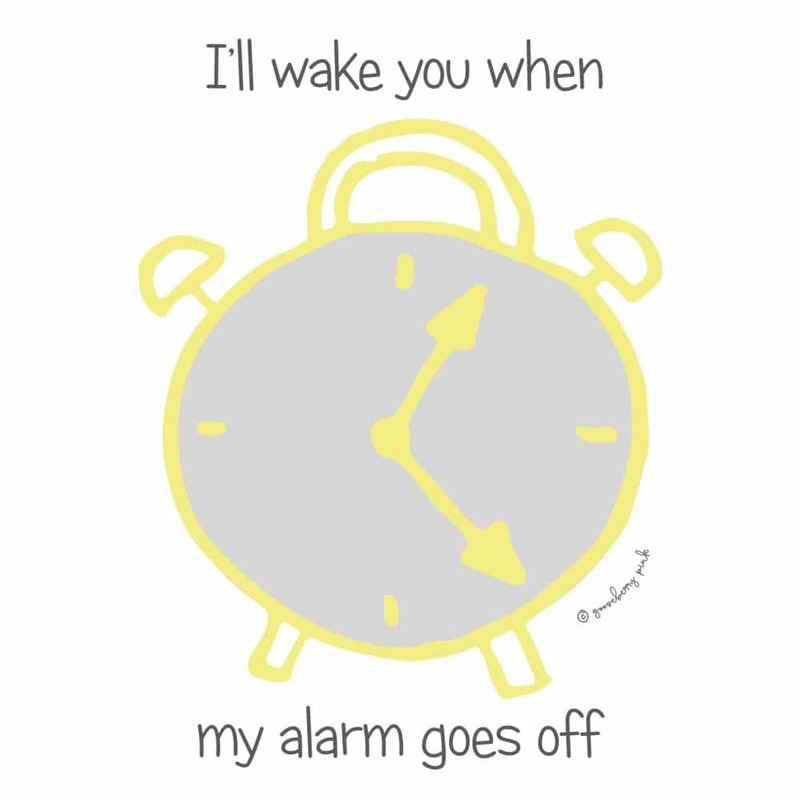 This fun design from Gooseberry Pink’s Night + Day collection says, ‘I’ll wake you up when my alarm goes off’. 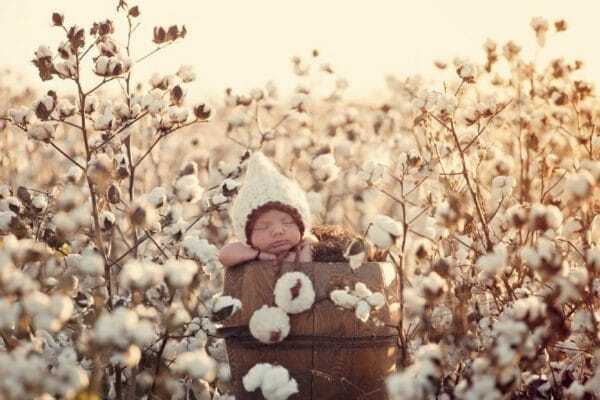 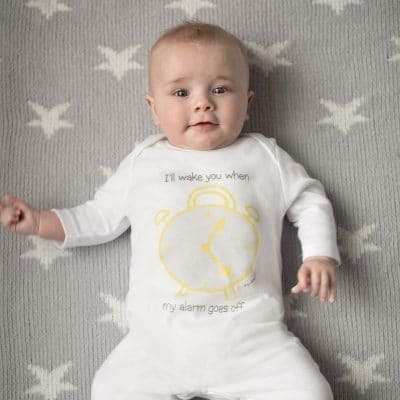 The Clock baby sleepsuit, made from supersoft organic cotton will keep your little one comfy and cosy. 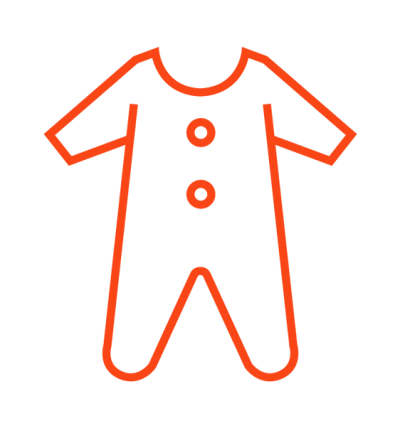 It features popper leg fastenings for easy nappy changing. 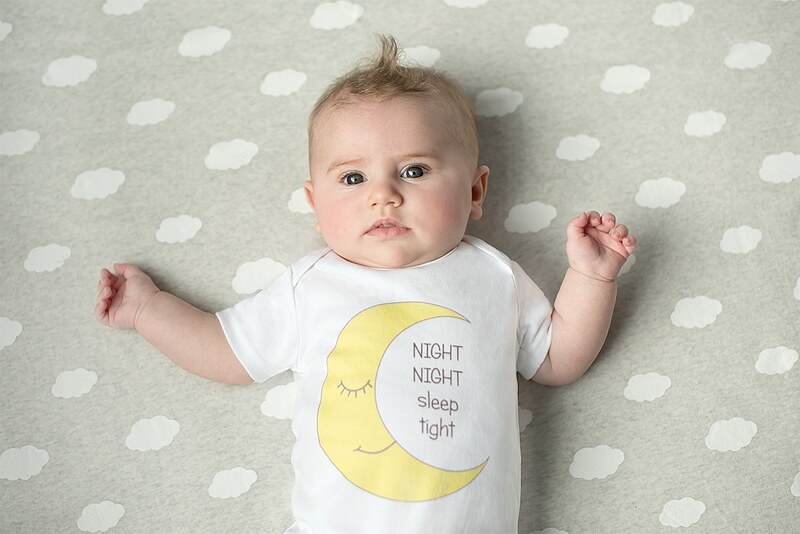 Designed with your baby’s comfort in mind, there are no fastenings on either the front or rear of the sleepsuit.